A few years ago I brought all the fixings to help my goddaughter build a fairy garden when I went to visit her. 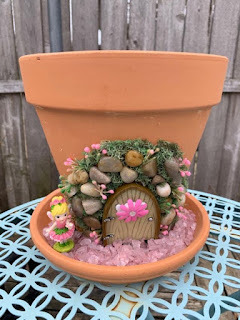 She has since moved several times, and it got me to thinking about those fairy gardens and how cute they are in the summer, but winter comes, and moves come, and when I ran across the idea of creating little 'houses' out of pots at craftsunleashed, I loved this idea b/c they store well in the winter and can even travel with you. 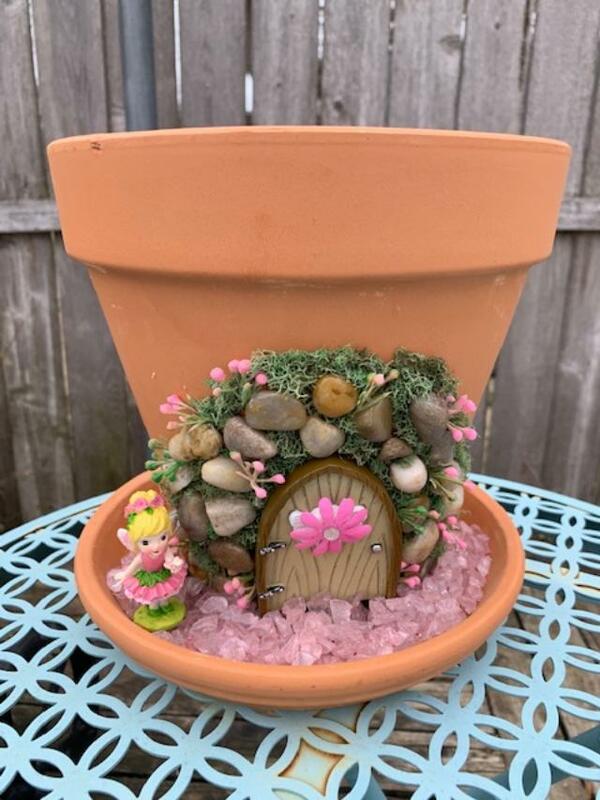 It would also be fun to create a 'theme' out of each pot until you have a little town. 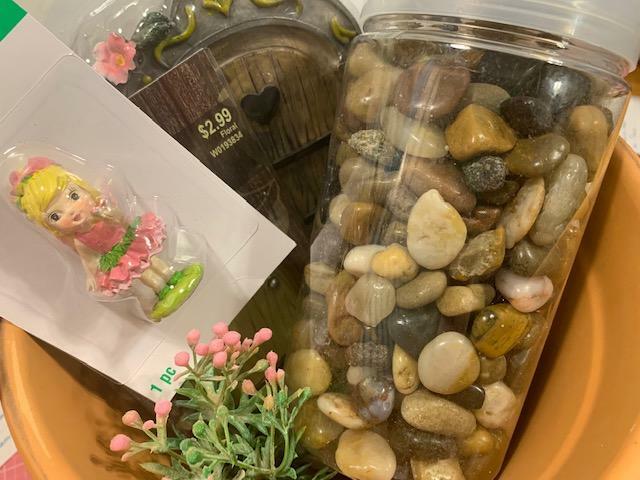 I bought most of the 'stuff' at Michael's, but I found some plastic flowers (more weather proof), a small door, and some self adhesive moss at Hobby Lobby. 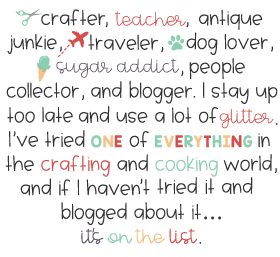 I'm an equal opportunity crafter. The door actually had a tooth on it, so I glued a pink flower over the tooth. 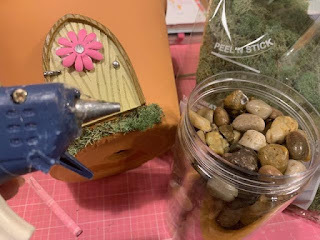 I then glued pebbles and flowers around the door, and stuck moss between the rocks. 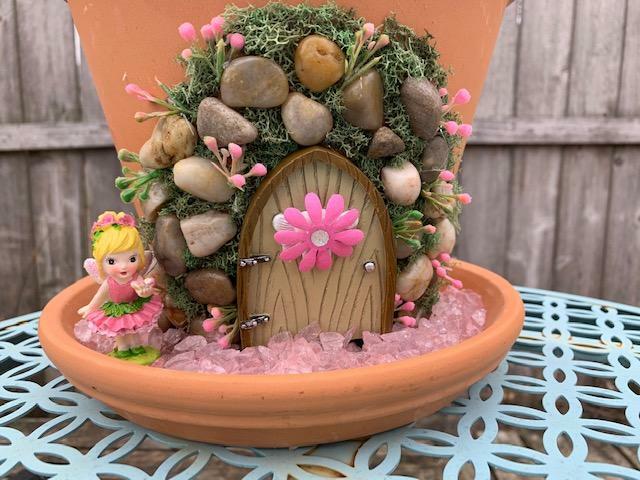 I added some pink rocks and a fairy to the trivet below and it's ready for planting....and magic.